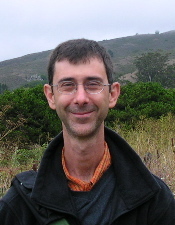 Paul Portner received his PhD at the University of Massachusetts, Amherst in 1992 and is currently a Professor of LInguistics at Georgetown. His research has covered on a wide variety of topics in semantics, pragmatics, and the semantics/pragmatics interface. Some of his main areas of research are tense and aspect, mood and modality, information structure, and -- in joint work with Raffaella Zanuttini and Miok Pak -- clause types. He has published books at both an introductory level (What is meaning?, Blackwell, 2005) and directed at a more advanced audience (Modality, Oxford, 2009). He is currently focused on several projects: theoretical and corpus-based research into the semantics of gradable modality (in collaboration with Aynat Rubinstein and Graham Katz), a book on verbal mood and sentence mood (Mood, Oxford), and several lines of study related to the nature of subordination and root phenomena (together with the co-instructors of this course).